His and others’ research has shown that when people are given a starting number about a topic they know little about and then asked a question about the topic, they have a tendency not to drift too far from the given figure. The figure serves as an anchor. Even though 1,200 feet is a ridiculously large number for the height of a redwood, asking question 1 (Is the height of the tallest redwood more or less than 1,200 feet?) ahead of asking the latter question primes the respondent with some information about the topic and this has a major impact on what their best guess about the height of the tallest redwood will be. The person being questioned may assume that the person asking the question has some knowledge of redwoods and therefore use 1,200 as their starting place. Knowing enough to assume the given number is too high, they would most likely drop below the initial figure, but not too far below. Rather than starting with their own guess, they use 1,200 as a starting place and as they drop below the starting place, they settle on a number before dipping too far into the uncertain zone. The number then ends up far closer to the starting place than were the person to have come up with a guess all on their own. The implications of this for teaching are immense. We often ask students to share their thoughts on topics they are just forming opinions on. While exposure to others’ ideas is helpful, it is also helpful for teachers to be aware of the priming effect peers’ responses might have on students. The teacher may also wish to help students identify this effect. Kahneman notes that even after identifying the effect of “anchors” they still have an impact. Choosing when to have group discussions and being mindful of giving students time to find their own starting place is essential. I’m in the midst of Kahneman’s book and literally enjoying every page. As we strive to teach students to think critically and creatively, learning more about psychology and the way the brain work is important. There are many tools to assist students with evaluating the perspective and biases of others; what is more difficult is evaluating the way we process information and form conclusions. So let’s be more realistic this time. Did the tallest redwood even exceed 200 feet? What’s your guess? We had our year-end assembly yesterday to celebrate the school year but this assembly grade 7s is just for you. Last night, parents spent time making the gym look terrific, your teachers have written speeches for each of you, the whole school and many family members have come to watch. This ceremony is a statement that this transition in your life is an important one. I know the transition from elementary to secondary school is significant because I can still remember my transition to high school 25 years ago. In June of 1991, I was finishing at Caulfield Elementary School and moving on up to Hillside Secondary School. I remember my first day: after years of walking, biking and being driven to my elementary school, for the first time in my life I rode the school bus. I was wearing a white Vuarnet France long sleeve t-shirt that had been given to me by an older cousin. I thought she was cool so figured the t-shirt was too. Cool enough that I also wore it to the first dance we had a few months later. It bothers me that I remember trivial details of dress; it speaks to me being overly concerned about what others thought of me. How I wish I could have gone into high school not worrying so much, rather trusting myself to be myself. If I had some advice for you, it would be to be yourself but I am not here to give you easier said than done advice. Little I say now is going to affect your attitude in this transitional period so I am simply going to summarize some key themes that I know have been a feature of your experience at BICS, things you’ve learned already. Your education is partly about skillset – writing skills, reading skills, being able to make use of numbers to solve problems. Your education is also about mindset – how you approach change, how you think about new situations, meeting new people and how you greet opportunity. So I will now share some long-learned lessons, likely begun in Kindergarten and earlier with your family , which have hopefully inspired in you a confident and optimistic mindset for making the most of the many opportunities that lay ahead. Lesson Number One: You are special but no more special than anyone else. Yes, that is possible – special doesn’t have to mean better or only. The quantity of special people in the wold does not devalue your uniqueness and worth. Soon your teachers will describe your unique strengths and possibly even a quirk or two. Be proud of who you are. Lesson Number Two: Be confident in yourself. Confidence is believing in yourself – not just your abilities but your potential. You may be good, very good or even exceptional at certain things. But you are also 12 or 13. You very likely have a long way to go until you reach your peak. Your education has been designed for that purpose, for the long haul. Your experience here at BICS, and I know your next school will be the same, is designed to be a virtuous cycle, one where the more you learn the greater is your capacity to learn more, to be able to do more. This is education inertia – when we learn, we become better learners and more capable people. So I encourage you to be confident, particularly in your potential. Lesson Number Three, and following from lesson two: set ambitious goals for yourself. Be aware that committing to ambitious goals guarantees hard work and challenging times ahead. Help may be needed. Failure may occur. Fortunately you have the capacity to learn from both so hopefully you will have the modesty and confidence to do so. You don’t need to remember the words I say, I hope these lessons have been learned and earned growing up with your families and attending BICS. I think you are well prepared for what lies ahead. Whether you have been at BICS for one year or eight, it has been wonderful having you in the school Grade 7s. You will certainly be missed but as you venture East on your future academic endeavours and in all kinds of directions on your many adventures, know that we will be thinking about you, rooting for you and wishing you all the best wherever your passion and purpose takes you. In my view, summer holidays are an exceptional time for learning but they can be framed more positively for children than learning to “catch up” or “get ahead.” With two months off, it’s a time to travel to new places, meet new people, increase physical fitness by being active outside, develop work ethic by doing chores around the house, and find new interests and hobbies. There is a lot of subtle learning inherent in each of those activities. And without framing it as “keeping up,” “getting ahead,” or even worse, “not falling behind,” there are some things families can seamlessly do together to help students work on their foundational skills. What follows are some suggestions for subtle summer learning. Teachers will have articulated “Ways to Support Learning” in report cards or “Supporting Student Learning” in Kindergarten reports and for students receiving learning support in reading, our learning support teachers have very carefully shared some suggestions for reading over the summer. If reading is to be seen by students as a hobby rather than work, students should continue to read throughout the summer and they should see their family members doing the same. Reading can be even more beneficial when you ask your child about what they have read: What happened in the last chapter? Is there something you wished the main character knew about? Would you have made any decisions differently than any of the characters? What do you think is going to happen next? Why? The Bowen Public Island Library’s Summer Reading Program is a great motivator and resource for books. Some students will gladly keep a summer journal that details daily events; for others, certainly for me when I was in elementary school, this was not something I wanted to do. An alternative is to keep a nature journal. A nature journal is something that can be used outside and done in conjunction with activity (i.e. a hike in the woods) rather than as the activity itself. A nature journal is a mix of drawings and writings and many students who are not keen to keep a log of their daily events are keen to describe all of the plants and animals they might see over summer. If you are interested in learning more about Nature Journaling, consider this exceptional resource. Playing Board and Card games often reinforces key math skills such as number recognition, counting, adding and subtracting, and even using fractions to determine odds and games can be seamlessly woven into a summer day. More information on Card Games can be found here. Asking students to estimate value at grocery stores can also be done regularly. Curiosity may not be a foundational skill but it is a foundational element of learning. I have often encouraged families to visit TEDEd. The site is less about a student researching their existing interests and more about sparking other interests. It encourages openness to new ideas by showing that there are many more things to be interested in beyond current interests. TEDEd contains short videos introducing a topic and then links to additional resources to learn more. 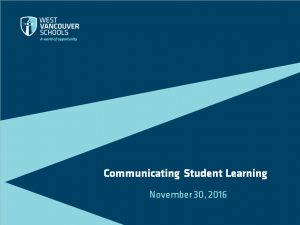 You may also wish to look into how West Vancouver Schools Summer Learning and Bowen Island Community Recreation offer programs to keep students physically and intellectually active over the summer. I wish all students and families a wonderful summer holiday full of fun and exciting adventures, rest and relaxation, and interesting learning. In BC’s Know-Understand-Do model, the “Do” is very clearly connected from grade to grade. In each grade and in various subjects within each grade, students will further develop their abilities to communicate and think. The grade three teacher can rest assured that teaching students to read is something they are carrying on from previous grades. But how about with the “Know” and “Understand” aspects of the curriculum? What is it that students know and understand that is to be carried on from year to year? 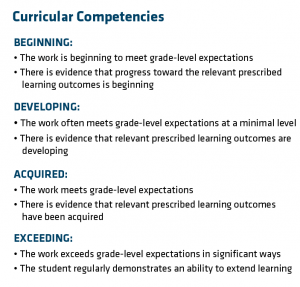 How is the teacher to know what students know and understand from previous learning experiences and how is the teacher able to connect what is being taught to what is already known and understood? It seems a bit much to expect BC teachers who continue to transition to new curriculum to also take note of each of the Big Ideas and concepts and content from previous grades. 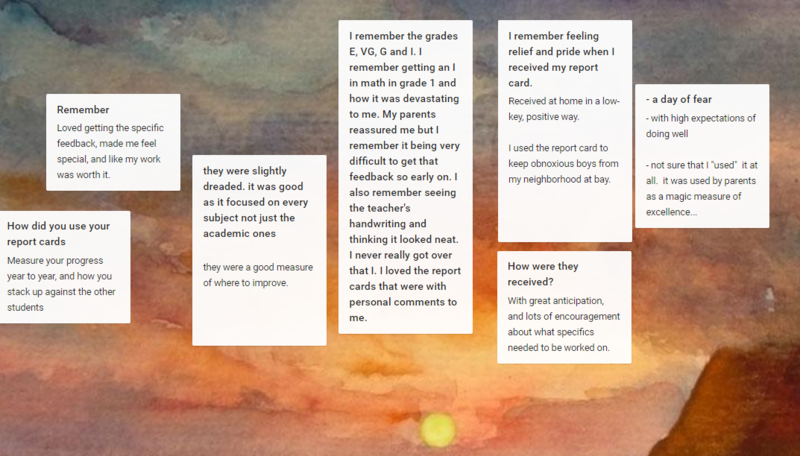 Even if they were able to do so, students, even those coming from the same class, have vastly different experiences and interpretations from their year, particularly when given opportunities for self-directed inquiry. Nevertheless, beyond simply asking students what they know about a topic, there are at least three ways to connect learning from subject to subject and grade to grade. Firstly, teachers can, despite challenges, connect Big Ideas from grade to grade. In fact, many Big Ideas repeat. For example, in Language Arts, the Big Idea, “Stories help us learn about ourselves and our families” is used in Kindergarten to Grade 3, with the addition “and our communities” in Grade 3. Clearly, that is a big idea that can connect several years of language arts together, and students will develop a deep understanding of the concept and importance of storytelling. Secondly, the curriculum has been redesigned so that certain topics that were once found in just one subject and grade – for example structures and functions of the human body systems – are now found in two or more grades. Thirdly, there are bigger ideas than the “Big Ideas” identified in BC’s new curriculum. These “bigger ideas” can connect learning from grade to grade by offering a concept to which learning can be anchored. When I first heard the term “big idea,” it was in 2007 when a cohort of West Vancouver Schools teachers met with pro-d guru Sue Elliot to discuss Grant Wiggin’s and Jay McTighe’s Understanding By Design. This approach to teaching/learning suggested big ideas were “broad and abstract,” “represented by one or two words,” were “universal in application” and “timeless.” They present a “conceptual lens” for any area of study. In my twelve years of teaching, my early years looking mostly at Grades 5-7 and my latter years as an elementary school administrator looking at K-7, one “big idea” meeting the criteria above sticks out more than any other, the biggest idea (in my mind!) of them all: relationships. Much of what students learn about develops this very idea: cause and effect, systems within systems, interacting with each other and students understanding who they are in the world. In using the Curriculum’s Search Tool and typing in “relationships,” the concept comes up in dozens of Big Ideas, and hundreds of content phrases and curricular competencies. When I shared my thinking with other educators, some agreed and some had other big ideas – change, systems, integration, conflict and identity are all big ideas with the potential to unify curriculum. 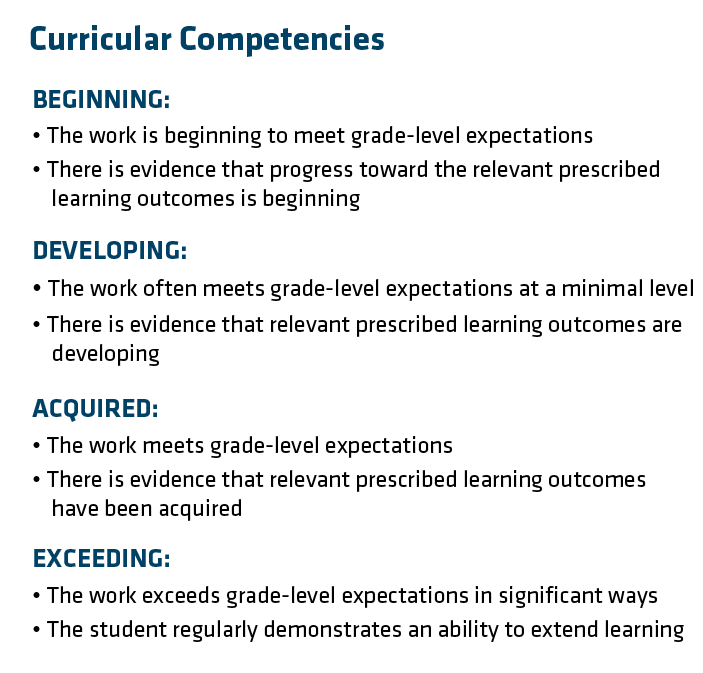 I don’t know if there is a biggest idea in BC’s curriculum, but I think an overarching concept that unifies learning from subject to subject, and grade to grade, can help students make connections between what is known and what is about to be known. In doing so, I hope that students see past learning as helping prepare for what is being learned in the present; and, as importantly, what is being learned as enriching what may have been learned long ago. If learning, past and present, can be mutually reinforcing, how powerful it would be for a student to leave their elementary school with an inter-connected story of their learning.